Most of us watch the likes of Chris Evans, Chris Hemsworth and Ben Affleck as Hollywood’s burliest superheroes and shrug off their god-like bodies as unattainable – but we couldn’t be more wrong. And Steve Zim is here to prove it. Zim is the owner of A Tighter U, a gym located in Culver City, California. 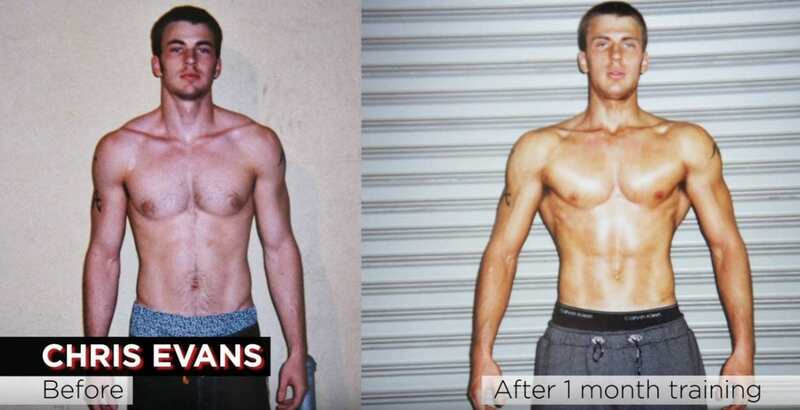 He also happens to be an author, personal trainer to the stars, and the guy credited with whipping Chris Evans into superhero shape in just four weeks. See that Dorito ratio? It’s not just saved for Hollywood’s A-list. In order to test out what it’s like to train to become a superhero (and if it’s actually attainable for the average Joe), BuzzFeed sent two employees to bust their asses in Steve Zim’s gym for 30 days. The five day week plan involved at least one hour of weight training and 20-40 minutes of cardio. At 5″6, Kelsey started out at 132 lbs and a body fat percentage of 26 per cent. Her results? A decent gain in muscle, loss in fat and a more symmetrical body. After five weeks, she was down nine pounds in weight and down 6.2 per cent in body fat. But it’s Evan that really shines. If you thought Captain America’s triangular physic was only attainable for those who have eight hours a day to dedicate to training, Evan proves you so, so wrong. 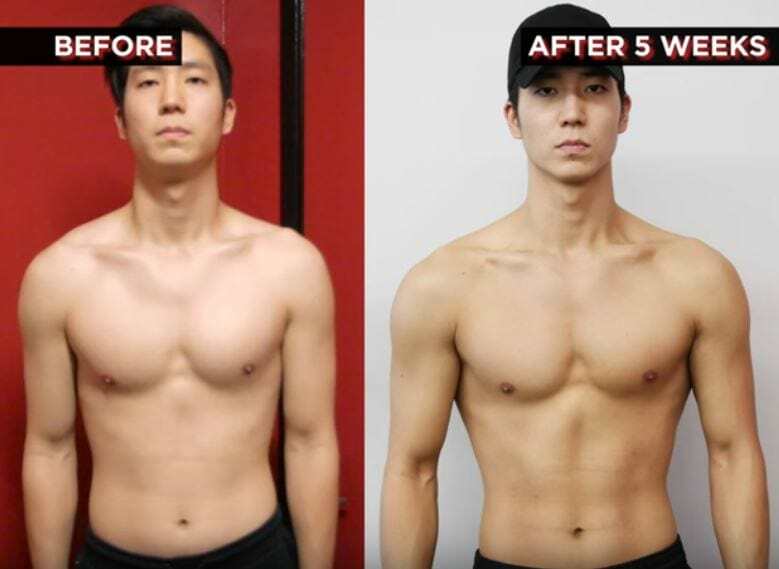 At 6 foot, 155 lbs and with a body fat percentage of 15 per cent Evan ended with a 4.5 inch increase in the width of his shoulders, a chest increase of 3.25 inches and a waist 1.5 inches smaller than when he started. But the real kicker is his body fat – he went down from 15 per cent to an impressive 6.6 per cent. If you need motivation to get fit, this is it.